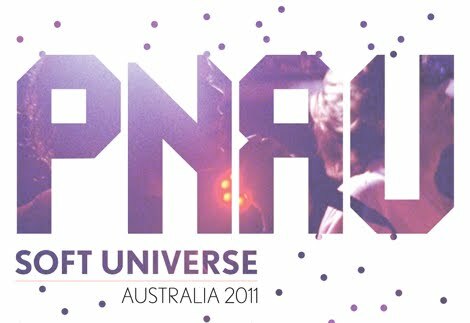 Aussie dance music doyens Pnau have announced that they will hit the road in late July in support of their forthcoming album ‘Soft Universe’. Kicking things off in Melbourne on July 26, they’ll then perform three dates in New South Wales – one each in Sydney, Wollongong and Newcastle. Of course, they’ve already been announced as one of the guests among the plethora revealed to take part in this year’s Splendour In The Grass, held in Woodford from Friday July 29 to Sunday July 31. The band has also revealed this afternoon that the second single from the new LP is called ‘Solid Ground’. Remixes by Adrian Lux and Cassian will be sent to clubland throughout Australia in the coming weeks, with a full radio service of the track expected early next month. ‘Soft Universe’ is slated for a July release, while tickets for the following tour dates are on sale this Friday.